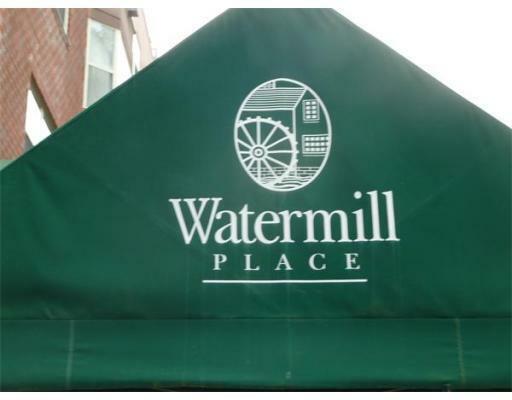 Bright oversized, one bedroom, end unit at Watermill Place. With windows on two sides, you will enjoy the sunny breakfast room adjacent to the kitchen. Garage parking (#141), extra storage, exercise room and beautifully landscaped grounds make this a wonderful place. Conveniently located near the Minuteman Bike Path, Arlington Heights, public transportation, shops and restaurants.